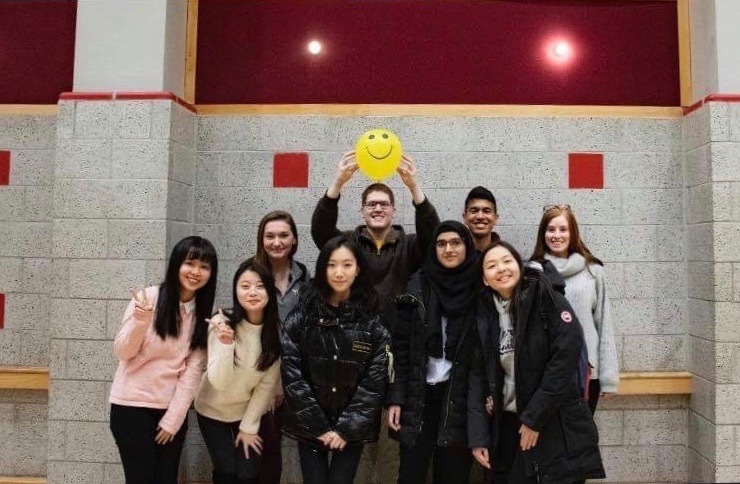 The Stony Brook English Pal, a program that matches international students with English speakers to provide them with a chance to meet, interact and practice their language skills, became an independent club this semester. The club started off as a joint project in the fall of 2011 between the International Student Organization (ISO) and the Golden Key Honour Society, an international honor society offering scholarship opportunities and volunteer service. Freshman English Pal volunteer and women and gender studies major, Pavithra Venkataraman, said the club gives her the chance to experience and explore different cultures through others’ firsthand experience. Anna Zavodszky, the vice president of the English Pal program and a biology and anthropology double major, compared spending time with one of the program’s pals to total immersion. It’s an effective and quick way for non-English speakers to expand their knowledge of the language. Participants are able to learn words and phrases, such as slang or expressions, that might be overlooked in a classroom. The club has a specific way of matching native speakers of English with non-native speakers. “The process of matching pals is ultimately determined by corresponding gender and similar academic standing,” Itai Flam, president and founder of SBU English Pal and senior computer science major, said. He explained that the program chose to match based on gender due to the fact that many people feel more comfortable talking to members of the same gender. Similarly, they choose matches based on academic standing because the program hopes that the pals can build a relationship lasting throughout their academic careers at Stony Brook and beyond. Schedule availability and common interests are also taken into consideration during the matching process. The program lasts for approximately 10 to 12 weeks, and after the pairs are matched up, the pals will meet for at least 30 minutes each week. Flam said the group tries to match people with different language and cultural backgrounds so that it becomes a different experience for them, rather than potentially falling back into their native language. He hopes the program encourages the students to speak English, and helps to unite the different groups on campus. “I chose to get involved in English Pal in the last two years, because I really like the idea of helping non-English speakers to get more involved on campus, get them to know more about American culture and also have someone to practice more conversational English,” Helena Ge, a volunteer and senior economics and applied mathematics and statistics double major, said. She said that she is thrilled that the club spreads diversity throughout the university by pairing pals from different cultures so they can learn more about each other’s traditions. “Having had someone willing to help me during the semester was really helpful to get me into America’s customs. Being more comfortable to talk in English improves my ability to make more friends and even talk to professors,” Ge said. She was paired with an English speaker when she first entered the program. Before becoming an English Pal member and helping students herself, Ge had a hard time communicating with students who were not familiar with her culture when she first arrived at Stony Brook. “I joined this club because as a non-native speaker, it’s a good way to practice my English in order to prepare for my future in the job market. I know that sometimes I will have to speak English with people I work with and international companies,” Grace Jin, an international student in the program and a junior electrical engineering major, said. Zavodsky explained that joining is a great way to help someone out, learn some interesting things yourself and hopefully make a new friend. The program holds meet and greets, game nights, general body meetings and closing events. Their goals include fundraising to hold higher-quality events with better entertainment and food, more frequently than they already do. “We are also always looking to increase our participant count, and are working hard every semester to achieve that goal,” Flam said.